The Nebraskan Student Union and Student Engagement Office supports UNK's 150+ recognized student organizations and groups. Interested in getting involved on campus? Check out the list of student organizations. For questions, please contact Tim Danube. 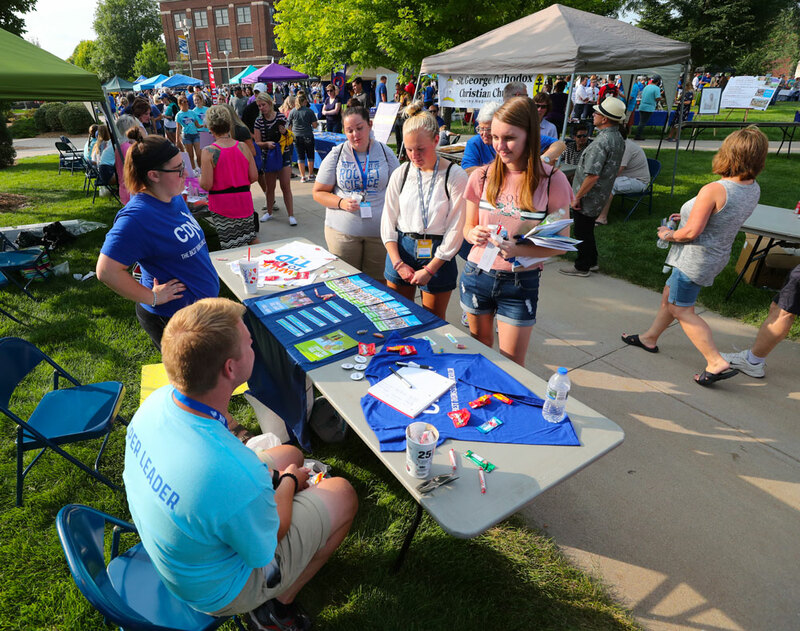 Join us for the 2018 Fall Student Organization Fair on August 29 from 11:00 am - 2:00 pm on the campus greens. The Office of Student Engagement hosts multiple "Recognized Student Organization Training & Briefing Seminars" throughout the academic year. During the aforesaid forums, staff/faculty advisors and student leaders learn important information (e.g. tax filing, student travel policies, and use of Engage) that affects their particular student organization. A portion of the Student Event Ticket (SET) fee is devoted to "developing and show casing conspicuous student talent." The financial support enables UNK to explore additional opportunities in programs that develop student leadership skills or that provide venues for students to display intellectual talent and other exceptional accomplishment. Students are encouraged to apply for these funds. Support for faculty or staff cannot be provided with these funds. Highly meritorious proposals directly impacting student talent development will be approved each year. The Chancellor of the university has final approval authority for use of the funds. Events that benefit students and the recruitment of students. Requests that further the vision of the institution as a premier residential university for undergraduate education. Only organizations and groups directly associated with the University of Nebraska at Kearney are eligible. Under the terms of UNK's exclusive agreement with Chartwells, an annual $25,000 Student Catering Fund has been established to support the catering needs of registered student organizations. Students are encouraged to apply for these funds. Access the Registered Student Organization (RSO) Catering Fund application by clicking on the link above. Official registered student organizations may apply for University Programming Facility Fee funding. In order to petition for UPFF funding, an organization must have a current, approved constitution on file with UNK Student Government. Use the form below to submit a budget request to Student Government. Members of the Board of Regents. Members of an official University committee approved by the Chancellor’s Office traveling on University business. Students on field trips conducted as part of an approved instructional program. Students who travel as representatives of the University, such as members of performing groups or teams. Students who have obtained proper insurance coverage.